Here I’ll be fully reviewing the Callaway Great Big Bertha (GBB) Epic game-improvement driver. Labelled “epic distance for every player“, the GBB Epic features Callaway’s Jailbreak technology and Exo-Cage construction and aims to deliver exceptional speed, distance and control for every golfer. So, how does the GBB Epic shake up relative to other recent Callaway offerings like the XR 16? Is it worth it giving a try? What are its strengths and weaknesses? Read on to find out everything you need to know about it to make an informed purchase. Want a high-resolution look at the GBB Epic? Click on the composite image at the top of the page and navigate the photos. Scroll down to the end of the review to see my rating! Recommended for: Golfers of any skill level who don’t have hard, quick swings. 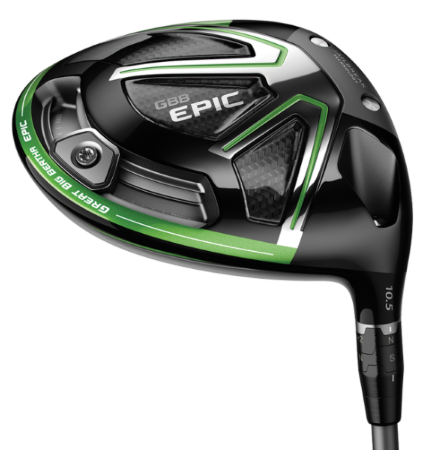 The GBB Epic driver is viewed very positively in general. 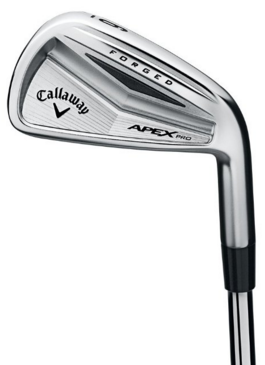 It has average customer ratings of over 4 stars on Amazon (not including delivery issues of customers), 4.75/5 on Global Golf, 4.7/5 (128 reviews, 91% recommended) on the official Callaway website, and 4.6/5 (over 90% recommended) on the DSG website. The driver is generally regarded as being able to do pretty much everything well: it has been praised for its unrivaled distance, forgiveness (distance and directional), great feel, great look, and easy playability. It’s not perfect for everyone, of course: some players don’t like the light stock shaft and swing weight, and modifying the ball flight at will, such as for cuts and draws, can be troublesome unless the weighting on the sole is adjusted. Dialing in the GBB Epic to complement your own swing style is highly recommended to get the most out of the club. Jailbreak Technology: This innovative new technology changes how the head and face behave at impact to promote more speed across a larger area of the face for increased average distance. Exo-Cage/Triaxial Carbon Construction: An innovative combination of titanium Exo-Cage and triaxial carbon crown (lightest ever in a Callaway driver) and sole result in high launch, low spin and unprecedented forgiveness. Adjustable Perimeter Weighting: A redesigned track and sliding 17 g weight allows you to fit the club to your unique swing, providing 21 yards of shot-shape correction for optimized control and distance. The 21 yard number is based on robot testing at a 95 mph clubhead speed. Industry-leading Aerodynamics: Callaway’s proprietary Speed Step, created with direct input from aerospace experts, is incorporated into the streamlined clubhead to improve airflow for more swing speed and distance. OptiFit Adjustability: The GBB Epic driver features 8-way adjustability for loft (up +2° to -1° from stated loft) and lie angle (draw or neural). Additional shafts are available at no upcharge. Specs for the GBB Epic driver for men and women are below. How does the driver perform? Distance: Distance results will, to an extent, depend on how the club is configured and what your natural shot shape is. Overall though, length with the GBB Epic driver is excellent. Callaway has managed to create a driver that not only is forgiving, but also produces a high launch angle with minimal spin. The result are shots that go a long way, with plenty of carry and rollout. Yes, I was getting bigger numbers than its predecessor, the Great Big Bertha driver. It’s right up there among the longest drivers on the market currently. Just keep in mind that spin rates and ball flights vary from golfer to golfer, and so it’s important that you experiment with the loft, lie, perimeter weighting and even the shaft to find something that brings out the most distance in your game. Forgiveness: The GBB Epic is very forgiving; some of the best forgiveness you’ll find in a driver. Mishits seem to go nearly as far as shots hit within the very large sweet spot, and they also tend to stay close to the shot shape that’s produced on your good swings. During my testing I only hit one disaster shot, and that one had horrid ball contact. It’s apparent that even if you don’t have your A+ driving game, you’re still in great hands when you’re using the GBB Epic. Playability/Trajectory: Typical ball flights with the GBB Epic are high and straight, but this can be adjusted to a large extend using all of the adjustability options available to you; this includes lie settings, loft settings to modify the height of the shot, and perimeter weighting to modify the curvature of the shot. Play around with these enough and you will find something that works great for you. One thing to keep in mind that the driver itself is on the light side, and so quick or strong swingers may be prone to high balls with a lot of spin. This is why I suggest that these types of players use nothing greater than the 9° stated loft and go from there. If you wish to shape different shots, this might not be the most ideal driver unless you’re fine with adjusting the perimeter weight frequently. What about look, sound and feel? Look: The GBB Epic looks solid at address, with its round, elongated shape, confidence-inspiring 460cc footprint, symmetry, and a crown that transitions from gloss black to carbon fiber. I’m personally not a huge fan of gloss finishes, partly because they tend to bring out smudges and other marks, but Callaway does pull it off impressively well. As a nice touch, the headcover has a silver Jailbreak dot pattern on it. On the hosel are the loft and lie settings, and on the sole is the adjustable weight track, branding and green-focused aesthetic. The shade of green is a bit too bold for me, but to each their own. All in all, the GBB Epic has a look that many will love. Sound and Feel: Coming into my review, I had heard many people absolutely rave about the feel and sound of the GBB Epic. I have to share their enthusiasm. The GBB Epic produces some of the most satisfying feel I’ve ever experienced in a driver: rock solid, but not too loud or metallic. This might catch you a little off guard considering the weight of the club. The feedback needed to diagnose and correct is also there. Good stuff! Where should I buy this driver online? At this time, due to the newness of the GBB Epic driver, there is virtually no price difference between different retail locations. With that said, you can actually find substantial discounts off the fixed manufacturer’s price right here on this eBay page (amazing for used GBB Epic drivers as well). New GBB Epic drivers of different lofts and shaft types are also being sold on this Global Golf page and this Amazon page. Note that Global Golf has a 30-day Playability Guarantee, which means you can return the club within a certain time frame if you’re unhappy with the performance. 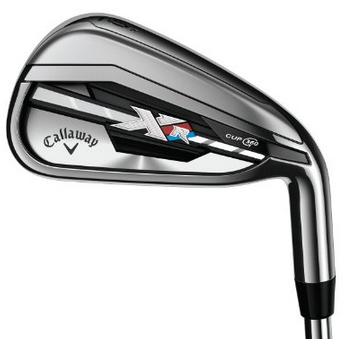 You can also order off the official Callaway website. No matter where you end up buying, I highly recommend checking out all of these links to compare first! Callaway absolutely nailed it with the GBB Epic driver. 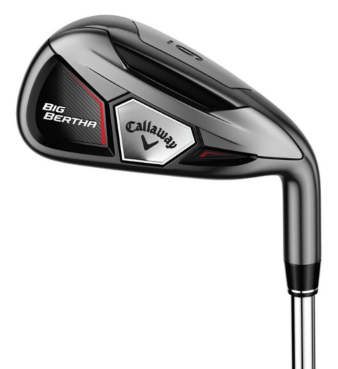 As a worthy successor to the original Great Big Bertha, it packs unparalleled distance, oodles of forgiveness, a sleek, bold look and amazing feel. This along with the high-launch, low-spin ball flight makes the GBB Epic a very attractive proposition to most golfers. The only type of player I’d say isn’t a good fit for the GBB Epic is the one who values feel, workability and a slim profile more than anything else. It’s recommended that strong swingers who have issues with high ball flights and high spin rates get the 9°. Remember to experiment with all of the adjustable settings that this driver offers! Feel free to leave your thoughts and opinions about the Callaway GBB Epic driver in the comment section below!